With the high winds and thunderous rain storms, it is impossible to protect all of your plants from the saturated soil they cause. Monsoon season can also be a great time to plant and take advantage of the humidity in the air. Tiny plants or plants that are extremely delicate should be covered to protect them from extremely heavy rain. Even a thin piece of glass secured with wire clip pegs and then tilted to allow rain water to run off will work. Veggie gardens should be protected from wind and heavy rain by placing mulch around them. When planting new trees or plants talk to your Green Goddess representative to make sure you use the right amount and type of soil and cultivate properly to protect them against severe weather. Don’t forget to prune trees or plants that are top heavy. 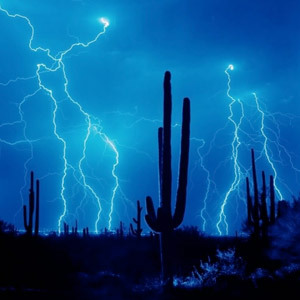 They are more likely to experience problems during the monsoon season. Not all is bad during monsoon season. This is an ideal time for new planting with humidity and lower temperatures. They help roots come to life and take hold. If you are thinking of starting a terrace garden, adding new plants to an existing one or to just get going on that garden, you always wanted to plant; monsoon season can be a great time to get started. Whether planting in your backyard or balcony, monsoon season can be a wonderful time of year for people who love gardening. Plants grow and bloom faster in the rain along with the humidity. The air acts as a stimulus for your plants. Always check drainage system. Make sure there is no stagnant water. Spread mulch around plants where water may build. Apply pesticides after fresh shoots appear to protect against insects that thrive on new and moist growth. Monsoon season can be a wonderful time to plant, but caution should be used to make sure your garden stays safe and secure.